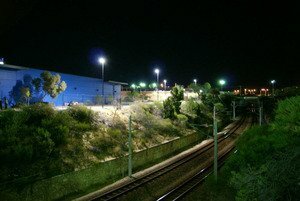 A major operation by Cat Haven is underway in Joondalup, Australia, to save several feral cats from a railway area. The animal-rescue group received several calls regarding abandoned cats in the fenced locale by citizens that were concerned for the animals’ safety. Cat Haven was originally denied access to the land, which is owned by the Public Transit Authority; after Facebook, Twitter, and other social network site campaigns, along with public pressure from various other groups including the PTA, Cat Haven was quickly allowed to enter the area. Seven cats were caught in a Saturday night test-run exercise; unfortunately, the felines were all severely infested with ringworm and had to be euthanized. Another rescue run on Sunday netted nine cats, which are undergoing examination. Robinson said the cats face danger from a busy train route and humans – some of which hurt the animals as they pass through the area. Although Cat Haven is a no-kill shelter, euthanasia is sometimes the only course of action for severely diseased or overly aggressive feral cats. Cat Haven is the largest shelter for homeless, abused, and lost cats in Western Australia.